Renowned for its private ambience, the boutique hideaway of Posada del Ángel has long been a favorite of some of the world’s biggest names, hosting Presidents and celebrities alike. Flawless service and a homely charm have created a space bursting in character and elegance whilst the seven suites, allow it all at once to be exclusive – yet never pretentious. 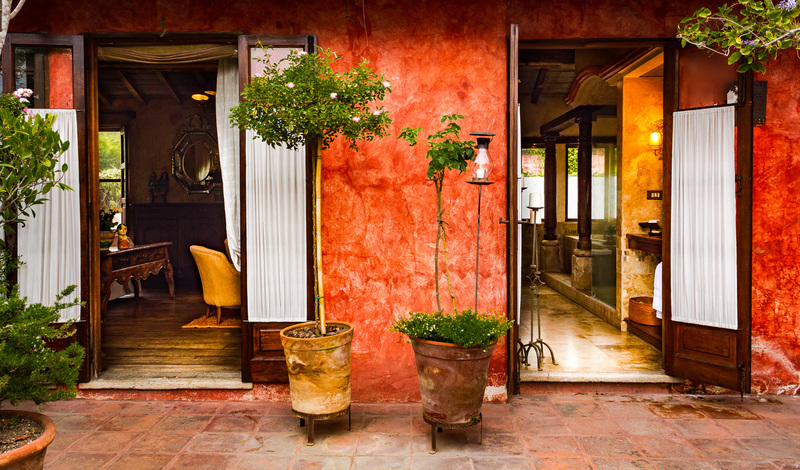 Handwoven textiles and winding flagstone staircases bring that hint of tradition from the city, whilst fragrances individually crafted by a local alchemist add that all-important sense of wonder to make a stay at Posada del Angel truly irresistible. Each of the seven rooms is decorated with the colorful textiles and hand-carved hardwood furniture typical of Guatemala and are arranged to sit around the Posada’s colonial courtyard and library. The Rose Master Suite is our pick of the pack with stunning views of the city’s rooftops and surrounding volcanoes from its private roof terrace. Every room offers welcome respite though, with wood burning fireplaces and antique four-poster beds, perfect for falling back into at the end of a busy day.